Catching blossom is almost as much fun as catching snowflakes on your tongue, except they don’t taste as nice! I’ll forgive you (but just this once! 😉 I jest, I know sometimes this happens and I’d rather you carry on taking the photos, linking up and getting support, than stress) Love the photo with the cherry blossom. 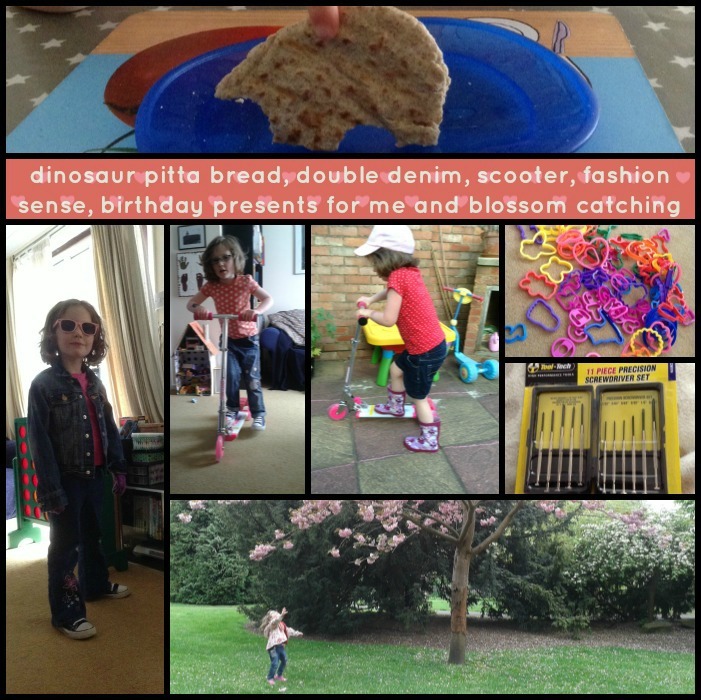 That’s a lovely photo of your daughter catching the blossom, I also like the thought of dino pitta bread! I love the blossom photo, so pretty!